JuNoWriMo and Kiwi Writers SoCNoC. Also tweeting word count updates using #JuNoWriMo and #SoCNoC hashtags. Sleep. Does wonders. Chugged along and got splendiferous results. This total can join the 75,416 words I wrote in April. Not too shabby. I’m also pleased that I was able to exceed the 6K in a day challenge twice this weekend. I have updates for WRITE YOUR NOVEL THIS SUMMER every Friday. More on that below. I have some solid material to continue with for JulNoWriMo, Camp NaNoWriMo, and possibly Savvy Authors Boot Camp that starts on Monday. Already giddy because I’m enjoying the scenes I’ve written lately, pleasantly surprised and complete with oohs and ahhs. I’ll continue reading non-fiction because it helps in my prep for next month’s writing challenges. The third round of #ROW80 starts on July 1st. My goals are pretty straight forward for the next eighty days. 1) Continue to work on my Fractured Tales Series with all the WriMos and writing challenges I can find (see above). 2) Working simultaneously on BOOK ONE: HAMELIN and BOOK TWO: THE CURSE OF BRIAR ROSE. 3) Outline and plot BOOK THREE: AND THEN THERE WERE SEVEN. 4) There are some submission call-outs I’m considering with due dates on July 31st and August 31st. I’ll get those sorted. 5) Continue reading and blogging because I think all of this has helped me become a better writer. 6) Try to keep up with the supportive #ROW80 family and meet knew writing buddies on the blog hop. 7) Try super-duper hard not to edit as I write. That’s always been something that I need to work on (or not, as the case may be). 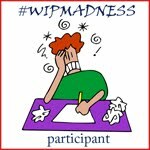 I’ll also be checking in with the #wipmadness community. To share my progress with WRITE YOUR NOVEL THIS SUMMER I started a new series of posts entitled FRIDAY FORAGE. Those posts are going to be fun. Treadmilled my brains out only to follow it up with both TKT having fevers. I’m also considering Urban Rebounding. It was a long week so I finally had the chance to unwind and catch up with my word counts this weekend. Duolingo still waits in the wings, but I’ll get on that. This entry was posted in Round of Words in 80 Days, Writing/Reading Challenges and tagged #ROW80, #wipmadness, Camp NaNoWriMo, Chainani, Denise Jaden, Duolingo, GATHERING BLUE, JulNoWriMo, JunoWriMo, K.M. Weiland, Kiwi Writers SoCNoC, Lois Lowry, OUTLINING YOUR NOVEL, reading challenges, Savvy Authors Boot Camp, Soman, THE GIVER, THE SCHOOL FOR GOOD AND EVIL, Treadmill, Urban Rebounding, WRITE YOUR NOVEL THIS SUMMER, writing challenges, WRITING WITH A HEAVY HEART. Bookmark the permalink. Impressive! Like the Lowry reads – may have to reread those if time permits. Good luck with July’s Camp NaNo! LOL! Know the feelings – so behind on so many things, with another ‘new form of madness’ brewing… Going to need to challenge myself to meet the goal again. Your goals are clear. Lots and lots going on. I checked out Nanowrimo and oh, my. you are going to write a lot in July! That Friday Foraging sounds great. I signed up — for your blog posts — and will return. Sorry. Can’t join you for the Nano challenge, but write on! May every tale have a (reasonably) happy ending! 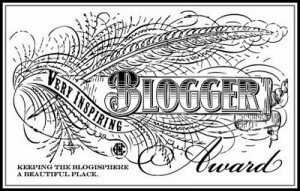 Thank you for signing up to the blog. It’s much appreciated. Mea culpa for the late reply. Let’s just say that I’m a dork. Not quite a luddite, but a dork, just the same for still not getting the hang of the comments section. Glad you like the FRIDAY FORAGE series. I’ve got more drama ahead on this writing journey. Happy endings would be nice. Just getting to the end would be awesome, too! lol I’m sure we’ll find ourselves in a writing challenge together sooner or later. Cheers!